Buy your copy and start reading this nail-biting thriller today! Available on Amazon.com … Kindle version or paperback. 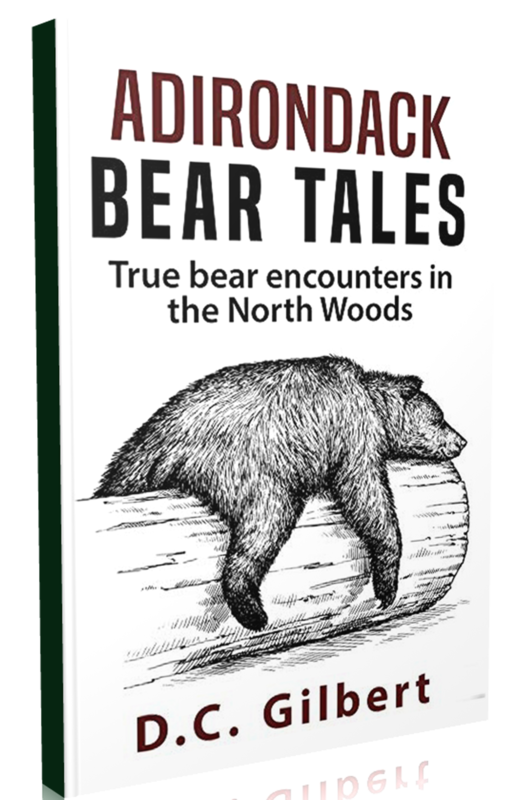 This delightful book contains 11 short stories about true encounters with black bears in the Raquette Lake region of the Adirondack mountains. Imagine a 12-year-old girl meeting a black bear on the trail to the women’s bathroom late at night. Or a grandfather with a bag of garbage being chased around the car by a hungry black bear. Or imagine what you would do if you met a bear in your kitchen while frying bacon for breakfast.